TV show dates: January 3, 2019 — present. Performers include: Dwayne Johnson (host), Cari Champion, Liam McHugh, and Alex “Golden Boy” Mendez. From creator and host Dwayne “The Rock” Johnson, The Titan Games TV show is an athletic competition reality TV series, billed as a “once-in-a-lifetime opportunity” for “everyday people.” Johnson designed the large-scale physical challenges, with an eye toward motivating the larger audience to maximize their potential. In the the series, male and female contestants, from across the country, enter the Titan arena striving to achieve what seems to be “the impossible.” The punishing head-to-head challenges are meant to push the competitors to the limits and draw upon their speed and agility, as well as their mental and physical strength. Each episode features men and women confronting the contest’s Mount Olympus, in hopes of conquering it and becoming a Titan. At the end of the season, the Titans return and compete against each other, with just one man and one woman being crowned the Titan Champion and winner of a large cash prize. What do you think? Do you like The Titan Games TV series? Should this NBC TV show be cancelled or renewed for another season? 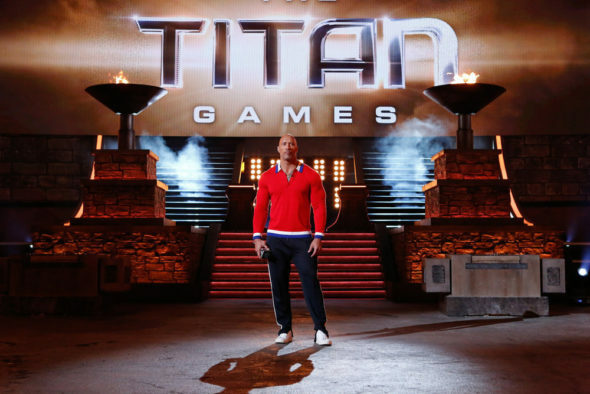 The Titan Games: Season Two; Has The Rock’s NBC Show Been Renewed Already? Loved loved loved the show! Please bring it back for another season!!!! Love this show it shows that if you push your hardest you can do anything . Another season for sure maybe more I hope . One of the best shows on TV….Love it, please don’t cancel.